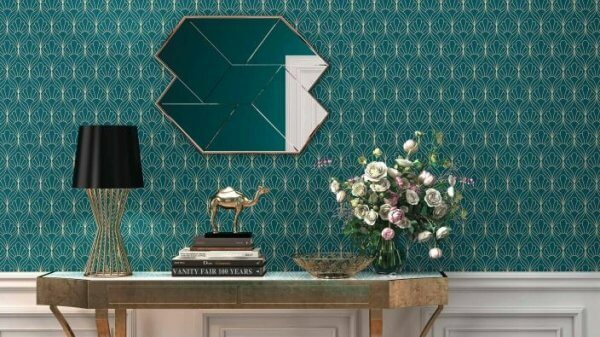 With an elegant and sophisticated leaf-like trellis design printed on a deep teal, this gold pattern is perfectly balanced against its background, creating a stunning composition that will certainly make a beautiful addition to your home! Stunningly intertwined, the trellis pattern on this wallpaper has an organic feel to it as a result of its gentle curves and gorgeous repeats. 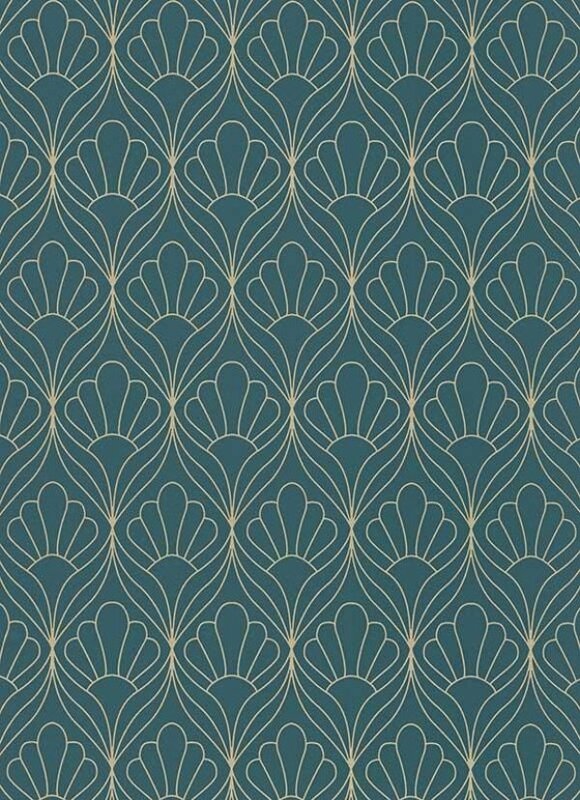 With an elegant and sophisticated leaf-like trellis design printed on a deep teal, this gold pattern is perfectly balanced against its background, creating a stunning composition that will certainly make a beautiful addition to your home! Stunningly intertwined, the trellis pattern on this wallpaper has an organic feel to it as a result of its gentle curves and gorgeous repeats. 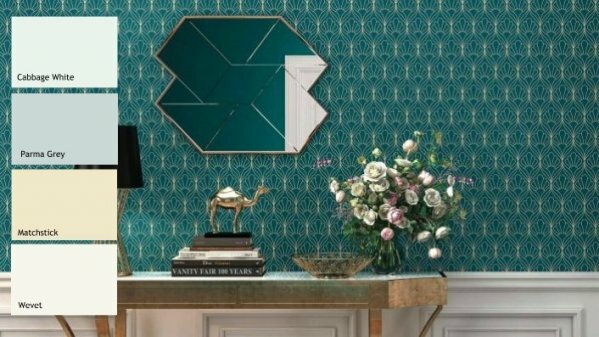 With the contrast of a shimmering metallic gold pattern against a matt teal background, this wallpaper will certainly work perfectly with your home's decor!